ASPIRING drivers will soon write provisional driver’s licence tests online to reduce interface with officials and minimise cases of alleged corruption. In a telephone interview yesterday, the deputy Minister of Transport and Infrastructural Development, Fortune Chasi, said all was set for the Vehicle Inspection Department (VID) to switch over to electronic testing for learners’ licences. “Everything is in place. I am just not sure of the date when we will officially go online however, all the necessary work has been done,” he said. Deputy Minister Chasi said they planned to have the new system in place before the Zimbabwe International Trade Fair kicks off next month. He said the new system was meant to ensure convenient service and transparency in the issuance of provisional licences. Deputy Minister Chasi said Government was embracing technology and ensuring that the country’s ICT capacity was fully utilised. “As part of the innovation, we are pushing towards the use of ICT as we now have the necessary infrastructure in the country and need to use it in Government processes to ensure that the private sector and entrepreneurs are empowered to do things in a faster and more convenient manner,” said Cde Chasi. There have been allegations of corruption in the Vehicle Inspection Department with a lot of people claiming that a number of aspiring drivers are made to pay large sums of money to acquire provisional licences. The digitalisation of the VID will follow successful digitalisation of the Registrar General’s office where passport forms can now be downloaded online and taken to the passport office after being completed. This comes against reports of an alarming number of people failing leaner’s driving licence tests, amid claims that officials at the VID deliberately fail people to induce bribes. VID director Dr Joseph Pedzapasi recently said the introduction of electronic testing would be a facelift to the department, which has been accused of having corrupt officials executing underhand dealings. 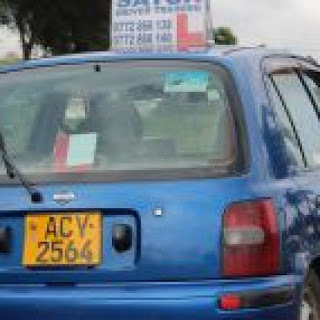 “VID officials have been accused of deep-rooted corruption, which involves soliciting for bribes from clients, hence the adoption of e-PDL (electronic provisional driver’s licence) examination of prospective learner drivers would obviously go a long way in curbing such cases. “So far we are upgrading our computer systems for the programme which the VID has pencilled soon. The new system will avoid human interface between clients and our officers,” he said. Under the envisaged system, learners will first be subjected to an eye test three times, failure of which the person will not be able to write the examinations. The eye test will be at levels; close, medium and far. Those who would have passed the eye test will proceed to register for the exam online by providing their details which include name, physical address and national identity number before the eight-minute examination starts. The examinations will be centrally and electronically administered at the VID head office in Harare, stripping VID officials at various branches around the country, where the tests are being written now, of any influence on the outcome of the tests. With the new technology, each candidate will write a different set of questions from the next candidate during the same session and in the same exam room.